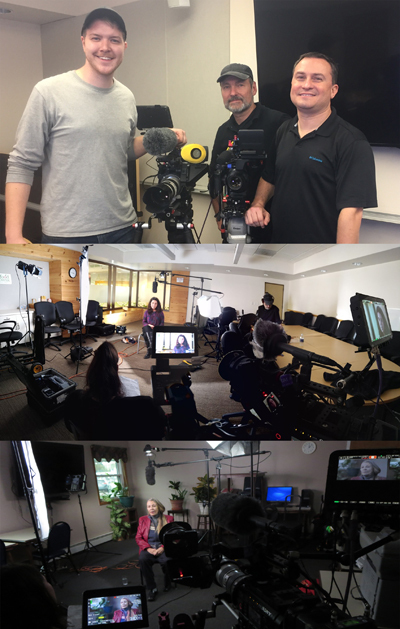 November 2018: Walmart - BTV's Rochester camera crew teamed up with Goto Team/Assignment Desk on a 2-day shoot for Walmart in the Binghamton, NY area. 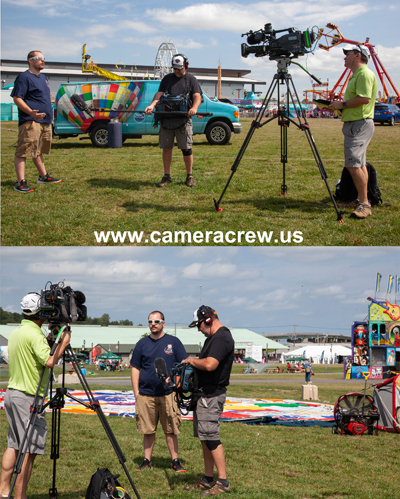 September 2018: NYS Fair - BTV's Syracuse camera crew worked with the Rite Aid Foundation to film their hot air balloon that made an appearance at New York State fair. 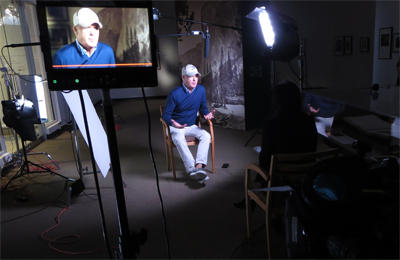 June 2018: Kaufmann Foundation - BTV's Rochester camera crew worked with the Kaufmann Foundation of Kansas city on a two-day shoot in Perry, NY and Warsaw, NY. 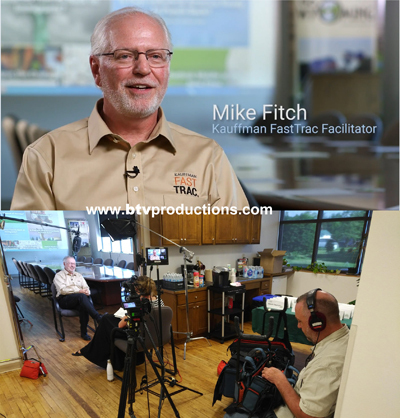 The crew filmed interviews and a graduation ceremony for area residents that took the Kaufmann FastTrack program, which helps entrepreneurs learn critical business skills. One of the final videos from the project can be seen if you click HERE. 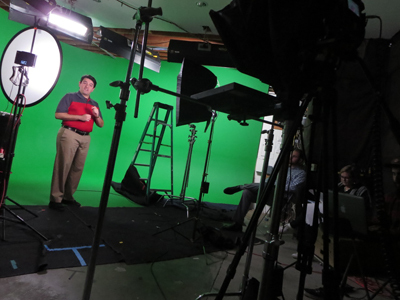 February 2018: A Day of Green Screen - DP Dave Bartlett spent a day in an L.A. Green screen studio to record content for a major auto manufacturers internal training. 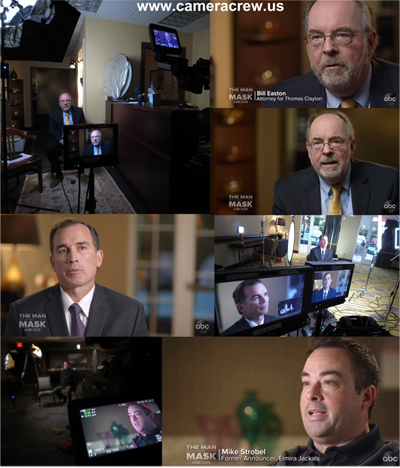 Content was recorded in both English and Spanish, with backgrounds from actual dealerships to be inserted into the background later. GOOD MORNING AMERICA - BTV recently shot a piece for GMA about a teacher who switched to a plant based diet after having a heart attack. 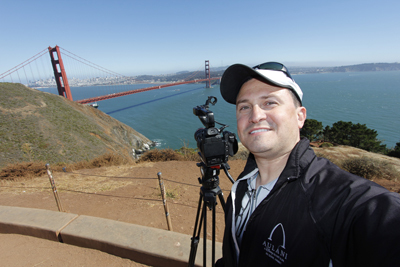 Silicon Valley - Producer/DP Dave Bartlett worked on a corporate Case Study Video project in the Bay Area, and didn't pass up a chance to grab some footage of the iconic Golden Gate Bridge. EXTRA - BTV shot an interview with Michael Keaton for EXTRA TV before he received an award at the George Eastman Museum.